Home lighting automation systems can control the type and quality of lighting in your home, and can be used to set mood and light themes. In addition, they can be utilized as part of an effective home security system. 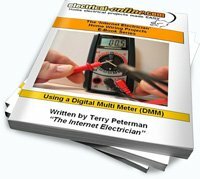 Terry Peterman, the Internet Electrician, reviews how these systems can be implemented in your home. This entry was posted in Home Lighting, Videos, Wiring-Videos and tagged automation, home automation, home lighting automation, lighting, mood lighting, security system, theme lighting. Bookmark the permalink.